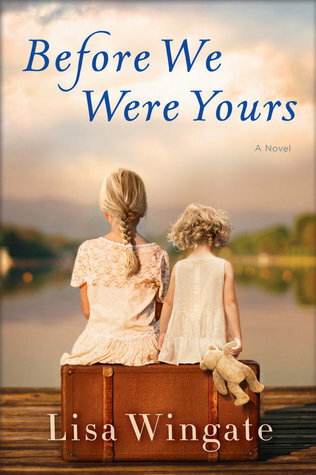 Today I'm featuring my current read, Before We Were Yours by Lisa Wingate, which is the selection of one of my book clubs. The excerpts shared are from a hardcover version borrowed from the library. My story begins on a sweltering August night, in a place I will never set eyes upon. The room takes life only in my imaginings. It is large most days when I conjure it. I take a breath, scoot to the edge of the seat, and straighten my jacket as the limo rolls to a stop on the boiling-hot asphalt. News vans wait along the curb, accentuating the importance of this morning's seemingly innocuous meeting. Page 56: I'd rather be outside watching the river and its animals and listening to Briny spin stories about knights, and castles, and Indians out west, and far-off places. My thoughts: This book has received lots of buzz since its publication last year. It's still quite popular, based on the number of library holds, and its subject matter makes it appealing to both book clubs and individual readers. From Goodreads: Memphis, 1939. Twelve-year-old Rill Foss and her four younger siblings live a magical life aboard their family’s Mississippi River shantyboat. But when their father must rush their mother to the hospital one stormy night, Rill is left in charge—until strangers arrive in force. Wrenched from all that is familiar and thrown into a Tennessee Children’s Home Society orphanage, the Foss children are assured that they will soon be returned to their parents—but they quickly realize the dark truth. At the mercy of the facility’s cruel director, Rill fights to keep her sisters and brother together in a world of danger and uncertainty. I've read a couple of other books by Lisa Wingate and I was aware that this book had a lot of buzz. I'm not sure I knew what it was about. What a story! I'm noting it down and will try it in the future. 'Based on a true story' - that is beginning to get me every time. I loved this book! Hope you are enjoying it, too. This book does sound amazing. I hope your club enjoys discussing it. This week I am featuring Lies Sleeping by Ben Aaronovitch - an urban fantasy from my review stack. Happy reading! I like the cover and snippets. Sounds like a good story. Happy weekend! Using imagination is a way of dealing with life, I suppose. 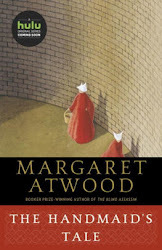 I just finished this book this week. I must admit I did do quite a few eye-rolls about certain situations and conversations. It seems like more romance than history. My quotes are from HEY, KIDDO a graphic memoir. The story it is based on gives me chills. I hope the novel lives up to its promise.